Do you now almond milk? Almond milk is a popular non-dairy milk. One advantage of almond milk compared to the leading variety of dairy milk (e.g. cow milk) is the fact that it can last longer. Does it go bad? Yes, almond milk goes bad like any other dairy milk. So, how long does almond milk last? The answer to this relates to the way it is prepared and stored. 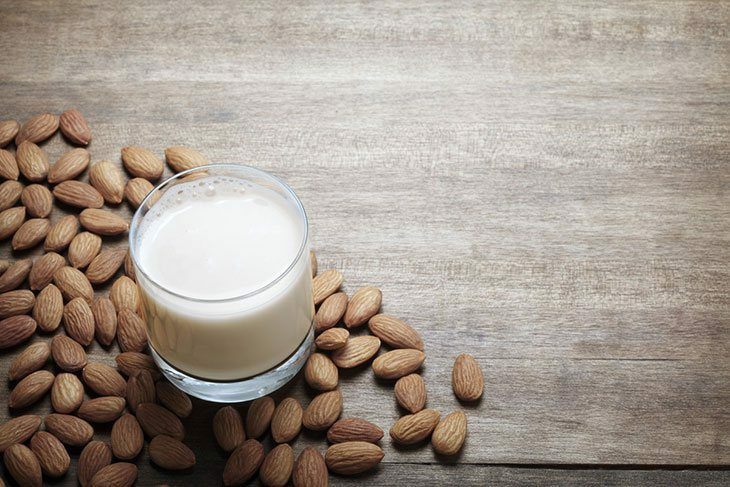 The storage methods of almond milk are directly affecting the duration of its shelf life. However, there are claims left and right that contradict each other. The most common queries are related to the shelf life of the almond milk. How long does almond milk last? Why it becomes bad? What are the signs of a spoiled milk? These are some of the questions that might bother the future patrons of almond milk. 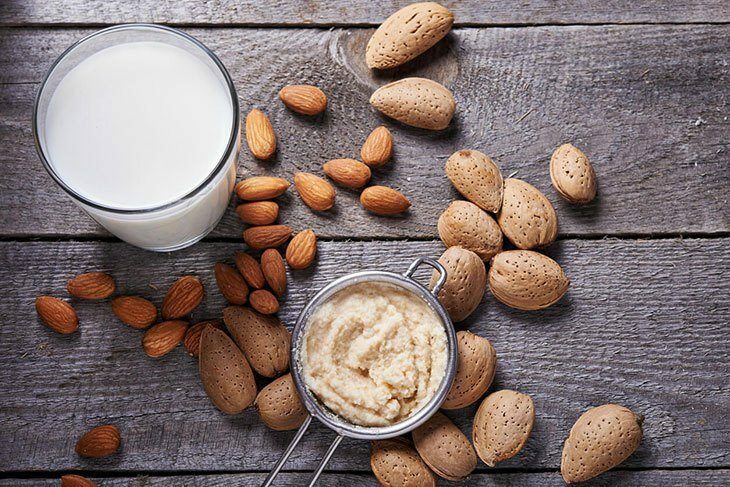 So, we prepare this article to clarify all the issues and controversies surrounding almond milk. Almond milk: A non-dairy milk. How to Properly Store Almond Milk? What is the Shelf Life Almond Milk? How to Know If Almond Milk is Gone Bad? Conclusion: How long does almond milk last? How long does almond milk last? The answer depends on the storage guidelines. 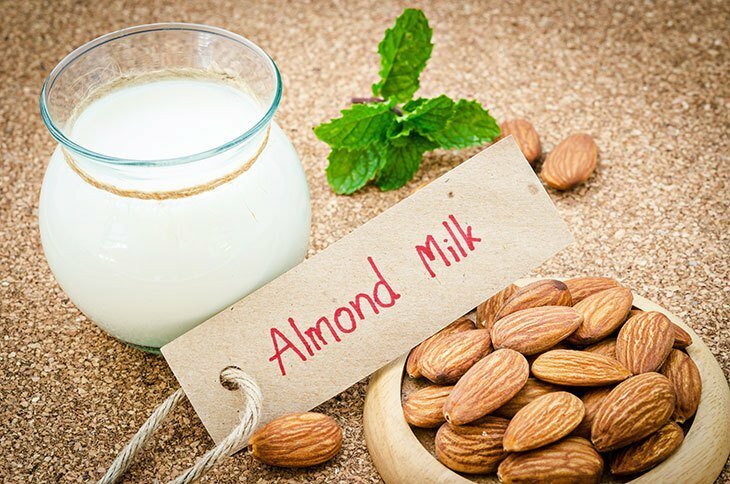 Like any other non-dairy milk, there are lots of brands offering their best version of almond milk. However, despite the vast amount of varieties, there are only a few guidelines to store almond milk properly. The instructions for storing almond milk is different for unopened and opened almond milk. Unopened almond milk is much easier to store. Check the container of the almond milk. The rules may vary depending on the type of container of your almond milk. Some manufacturers reveal to the public the proper storage guidelines on their websites or the container's label. Store the almond container in a cool place. Some unopened almond container should be kept in a room temperature place (25 degree Celsius) like the pantry. If your almond milk is inside a diary case, you should store it in a refrigerator. If you are still confused if you need to store your almond milk in the fridge, you can always check the container's label and any indications there. Most of the time, manufacturers put labels like "Refrigerated Almond Milk" on the containers. If you can’t find any instruction on the label, check the website of the brand. If you already opened your almond milk, then it’s another story. Put the opened almond milk inside the refrigerator. Once you opened your milk, you need to store it in the fridge pronto. Bacteria can easily grow in an opened almond milk, and these nasty fellas easily develop at room temperature. Transfer the almond milk to an airtight pitcher. You need to make sure that bacteria won’t propagate in your almond milk so, a secure container is the best countermeasure. Storing the opened almond milk in the refrigerator maintains its freshness and extends its shelf life. After learning the correct way of storing your almond milk, let’s proceed to its shelf life. How long does almond milk last? In any food products, there is always a "sell-by" or "best before" dates on its container. 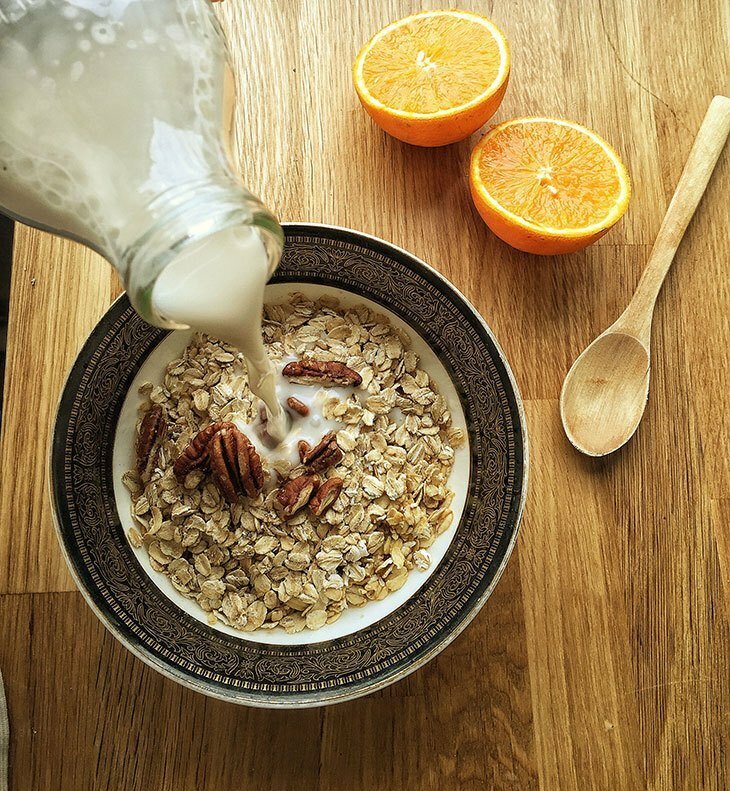 Most almond milk brands you can find in the grocery aisle are ultra-pasteurized which means, the milk is heated very quickly to 280°F and then cooled down quickly. Ultra-pasteurized products often have a longer shelf life because this process kills the bacteria in the milk which results to a l﻿actose-free milk. Almond milk is lactose-free, so its shelf life is usually longer than regular milk. But, for almond milk in a refrigerated carton, once you opened it, is strongly recommended to consume it all within seven days. Unopened almond milk that is shelf stable are packaged in a sterile and sealed carton so, it lasts for a few months when stored at room temperature. For opened milk, it is always important to store it in the refrigerator. Milk exposed to room temperature goes bad very quickly so, be careful. On the other hand, homemade almond milk usually doesn't contain any preservatives, so it will go bad faster compared to commercialize ones. Homemade almond milk goes bad after 2-3 days even if you stored it in a fridge. Homemade raw almond milk stored in sealed glass container. Spoiled milk can cause serious illness so, better check the condition of your milk. After answering the question, how long does almond milk last? Let’s check if you can still drink the almond milk in your pantry or fridge. Don’t toss your expired almond milk immediately. There is still a chance you can consume your almond milk few days after the expiration date. The following are the signs you need to consider if you want to know if your almond milk is still safe to drink. Bloated milk package. Check the condition of the milk’s carton. If it is unusually bloated, then there is a chance that bacteria are growing inside. Your milk smells sour. The next step is to smell the milk. It is a red flag if it emits a pungent odor. The milk is thick. Your milk might go bad if the consistency is thicker than the normal one. There is a presence of milk clumps. The milk is probably spoiled if it starts to clump. The almond milk tastes sour. If the physical aspect of your milk looks fine, then the last test is a tasting test. Prepare to discard it if it tastes sour. If you saw or observe any of the signs mentioned above, then you must dispose of your almond milk immediately. How long does almond milk last? Almond milk goes bad after a period. If left unopened, the almond milk can last up to several months before it becomes bad. However, an opened almond milk can only last less than 24 hours at room temperature and 7-10 days if it is stored immediately in a fridge after opening. Homemade almond milk lasts shorter compared to commercialize products; it will go bad after 2-3 days even if it is kept in the freezer. Milk will have a shorter shelf life if not stored properly. So, to make sure that your purchases won’t go to waste and last longer, always store the unopened ones in your pantry and the opened ones inside a fridge. Unopened almond milk lasts longer since it is hard for the bacteria to grow inside a sealed container apparently. Your health is important to us so, follow the guidelines above. Drinking spoiled almond milk will result in food poisoning. Thoughts?